Home Gov & Politics Local POLL: Who do you support for president? 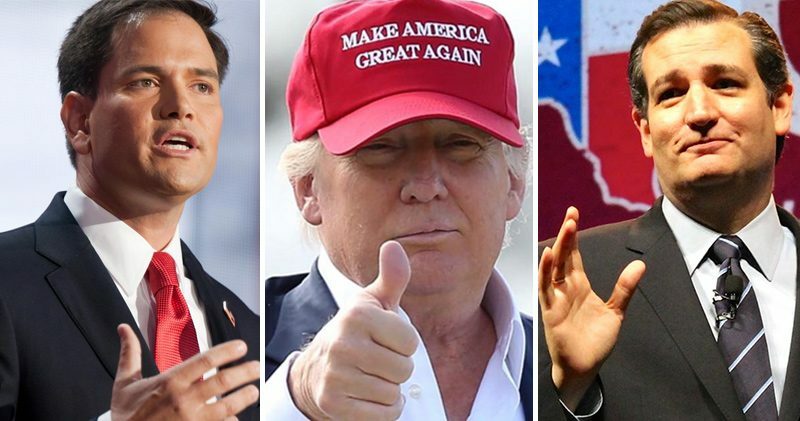 Republican front runners Trump, Rubio, and Cruz are three of the remaining five candidates left in the hunt for the GOP nomination. Super Tuesday comes to Rhea County. Vote in poll below today! When polls open tomorrow, voters in Tennessee will join ranks of twelve other states for what will be the biggest day in the 2016 Primary Season. Nearly half of all republican delegates are up for grabs (1,237). After four state primaries (Iowa, New Hampshire, South Carolina, and Nevada), Trump has a commanding lead with 82 delegates to Cruz’s 18 and Rubio’s 17. Early polls suggest, Trump will expand his lead and strengthen his grasp on the nomination come Tuesday. RealClearPolitics.com, an aggregate of major polls, shows the real estate magnate with nearly a 16 point national lead and a NBC News / Wall St. Journal Poll shows him leading by 18 points in Tennessee. As a matter of fact, Trump leads polls in every state except Texas (Ted Cruz’s home state). Whether you’re riding the “Trump Train” or “Feeling the Bern”, make your voice heard in the poll below. All polls in Rhea County will be open tomorrow between 8 AM to 8 PM. Administrator of Elections Tom Davis encourages everyone to make their voice heard. “People need to participate, and this is the best way to do it,” Davis says. If you are a Republican voter, be sure to download a sample ballot here. For each candidate, there are a total of 14 delegates to choose. Each time you choose a delegate, Davis says the machine will direct you back to the top. You will need to scroll back down to choose another delegate. In local elections, there is only one contested primary on the ballot. Voters can choose challenger Glen Varner or incumbent Tommy Snyder for the republican nomination of Rhea County Road Supervisor. No democrats are running for the position. We will have live local election results as they come in Tuesday.